The Dutch angler Hans Van Klinken originally tied this fly as an emerging caddis pattern to catch grayling feeding on them as they floated in the surface film but can also be successfully used for other emerging nymphs. Hans also fished many of the rivers in Scandinavia as well as in his native Holland. His mentor was a Swedish fly fisher, Kenneth Bostrom who had created a fly called the Rackelhammer to imitate hatching sedge. It floated when cast upstream but Hans found if it was tweaked, to suggest life, it sank. Hans adapted the idea and made a fly that still floated after it had been tweaked. It became known as the 'Klinkhammer Special' . At first he bent the hook of a parachute fly so that the abdomen would sink below the surface and the thorax would float. Later he developed a special hook that did the same but imitated the curved body angle of the insect as it hangs below the surface just as it starts to emerge. This is what makes it different from a regular parachute dry fly. The abdomen serves as a primary trigger, penetrating the surface film and getting noticed by trout from a great distance, well before they pick up on the above surface footprint features. It is a fantastically popular pattern that has caught trout and grayling all over Europe and now is gaining popularity in North America. This floating fly is just like an iceberg: it gives it's best results when 90 per cent of it is under the water. The white top hackle makes it more visible to the fly fisher. 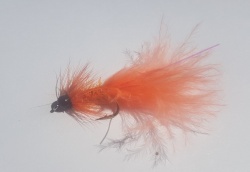 I highly recommend this fly. It does what it is designed to do. It imitates the natural insect and catches fish. 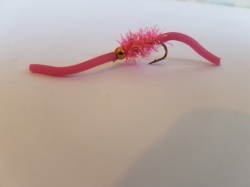 On the other side of the Atlantic Mike Monroe developed a fly similar to the Klinkhammer which he called the 'Paratilt'. Mike wrote an article about his new design that was published in the summer issue in 1979. 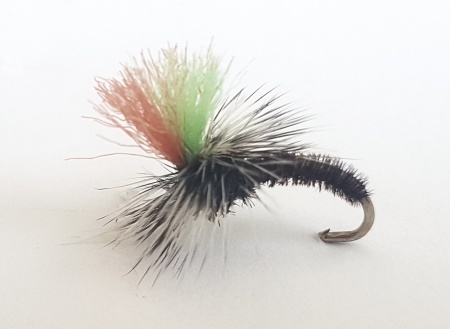 Hans Van Klinken's fly won the race for global acceptance of the 'Klinkhammer' name for this emerger pattern.